Charlottesville resident David Swanson is heading to Moscow this week carrying with him thousands of messages of friendship from U.S. people addressed to the people of Russia. Swanson is traveling as part of a delegation of Americans that will meet with, among others, Mikhail Sergeyevich Gorbachev, final leader of the Soviet Union; Chris Weafer, economist and investment expert; Andrei Davidovich, entrepreneur; Dmitri Babich, journalist; Alexander Abashkin, professor; Inna Sherbina, medical doctor; Andrey Kortunov, historian; Vladimir Kozin, arms control expert; Vladimir Pozner, television anchor. Swanson will be interviewed by Russian television in Moscow, will meet with other Muscovites and with foreigners resident in Moscow, and is trying to fit in a visit to a Russian school. 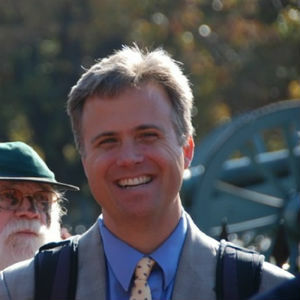 Swanson anticipated sadly predictable and unhelpful questions by stating that his trip is self-funded and organized by a nonprofit organization in the United States (ccisf.org) and that by seeking friendship with Russians he is not actually nominating any members of the Russian government for sainthood, nor proposing that Russia attack the United States. Swanson was once asked to work for the Russian government, and publicly outed his would-be employer instead. In Moscow, Swanson will be free to go anywhere and speak with anyone. As of this writing, 8,544 people in the United States, and rising steadily, have posted messages of friendship to the people of Russia. They can be read, and more can be added at RootsAction.org.